You are here: Home » Blog » Blog » Blizzard Beach » Tickets on Sale Now for H2O Glow Nights at Typhoon Lagoon! Walt Disney World! 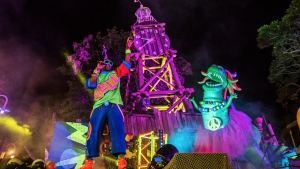 Tickets on Sale Now for H2O Glow Nights at Typhoon Lagoon! Walt Disney World! I hope you are ready to GLOW! Last summer Disney introduced a brand-new offering called H2O Glow Nights! This special ticketed event took place in the evening hours at Disney’s Typhoon Lagoon Water Park! This special offering was a huge hit and we are excited to tell you that based on last year’s success Disney has announced that the event will be making a return for summer of 2019! Tickets for H2O Glow Nights are now on sale! H2O Glow Nights will take place on Thursdays and Saturdays from May 30th through August 24th 2019 (except for June 20th). This extra-ticketed event is a GLOW party! You can experience typhoon lagoon in the evening hours, a time that this water park is typical never open during. 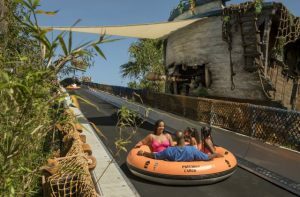 This special event transforms Typhoon lagoon into an exciting party atmosphere! This event has a limited number of tickets sold for each night which mean those who attend can anticipate enjoying the park with low crowds! A huge perk of the event is that you can experience shorter wait times for the park’s attractions! The event officially runs from 8:00 PM – 11:00 PM, but guests attending the party are allowed entry to Typhoon Lagoon as early as 6:00 PM! When you arrive be sure to bring your appetite! H2O Glow Nights also features special food and beverage offerings that are available for purchase! Another exciting element of the party is the character meet and greets! You will get to hang out with Toy Story characters such as Woody and Jessie! 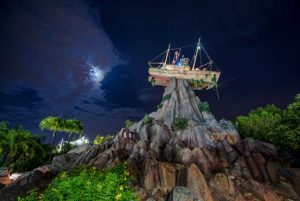 The return of this fun special event coincides with the 30th Anniversary of Typhoon Lagoon in 2019 making this the perfect way to celebrate! Tickets are now on sale, the cost when purchased in advance is $59 per person plus tax for adults and $54 per person plus tax for children ages 3 to 9. On the days of the event, the ticket price will be raised to $69 per person plus tax for adults and $64 per person plus tax for children. Plan your visit to the Walt Disney World Resort by contacting your Kingdom Magic Vacations Travel Planner. Our knowledgeable team can help you create a vacation package that fits exactly what you are looking for in you next getaway! 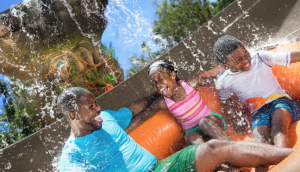 This entry was posted in Blizzard Beach, Disney Dining, Disney Special Events, Disney Vacation, Disney Water Parks, Typhoon Lagoon, Walt Disney World, Walt Disney World Resort - Orlando and tagged disney, Disney Water Park, Disney Water Parks, disney world, Disney's Typhoon Lagoon, typhoon lagoon, Walt Disney World on January 17, 2019 by Megan Przychodzien.